That looks like a fun soft play centre - very high. Ohhh where is this? This is Little Leg's idea of HEAVEN!! thats one big play area! That is one e[pic looking soft play centre. Now that is a giant indoor play. One day I hope to be able to build one of these at Coombe Mill, ours is rather smaller! We've got one of these near us - I have to say that these softplay places inside metal buildings have started to become one of my worst nightmares but Grace's idea of heaven! arghhhhhh my idea of hell! 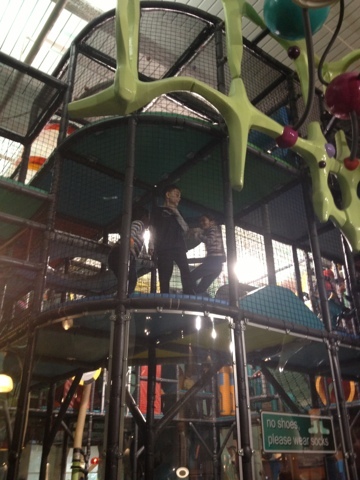 oooh soft play, always fun!